You never know who you're going to meet when you say hello. Last October, I introduced myself to the woman sitting next to me in a workshop at the Moonlight and Magnolias conference in Atlanta. 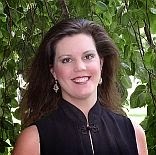 Turns out that woman was romantic suspense author Regan Black. I told her I was a book blogger. She told me about the series for Harlequin Intrigue that she's writing with Debra Webb and gave me a copy of the first book in the series, The Hunk Next Door which was due to be released the following month. It was love at first scene. 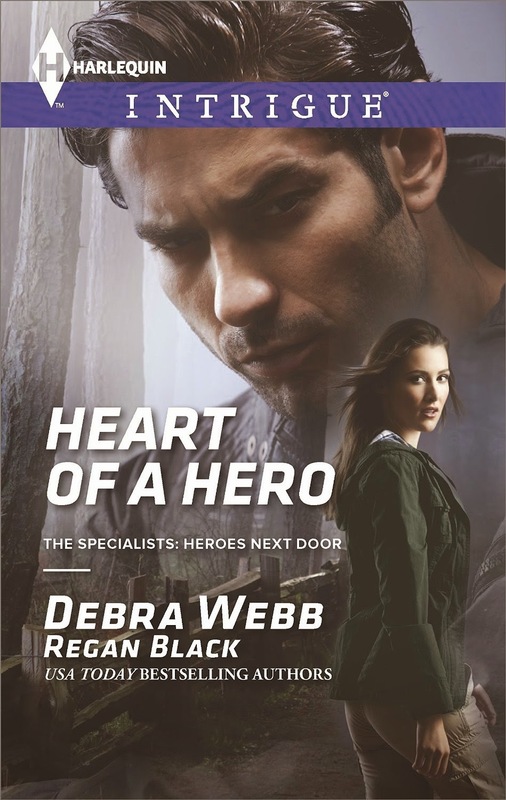 (read my review here) The second book in the series, Heart of a Hero was released earlier this month and continues my love affair with this dynamic collaborative duo's heart-stopping romantic suspense stories. If you haven't read their books yet, I highly encourage you to give them a try. I'm delighted to host Regan and Debra today as they share with us some of the adventures of writing as a team. Please welcome USA Today Bestselling authors Regan Black and Debra Webb! Thanks for hosting us today, PJ! Debra and I have known each other since I was a newbie at my first writing conference. I was a huge fan of her novels and gushed like any good fan girl would. She was so inspiring and approachable (and patient) and she gave me amazing advice that weekend. A year later she gave me my first cover quote for my debut novel. Fast forward almost a decade (notice neither of us has aged a bit!) and dozens of phone calls and we are exploring new adventures as a writing team. Joining forces was Deb’s idea, but it only took me about two seconds to think it over. Come on - the chance to write with my mentor and friend? People ask us all the time how the co-writing works for us. First, you have to know Deb is an idea factory. She comes up with a scenario and creates a brief outline and then we talk and brainstorm until we have a story concept with characters we both love. And then we talk it out some more. As we dig into the writing process, phones and text messaging are the lifeline. From the brainstorm to “What did you mean here?” to the final edits, we do it all by phone. And I did. Because as resistant as I was to that particular idea, it was actually workable. It’s our inside joke now, but it’s probably a safe bet that circus parents will show up in one of our books eventually. What makes it work so well for us is our communication and appreciation for each other’s strengths. A good, similar sense of humor doesn’t hurt. Add in mutual trust and you’ve got the keys to our partnership. Because we were on a roll, Deb and I launched the Dangerous Protectors romantic suspense trilogy with Against The Wall (Dec/2014) Too Far Gone (Jan/2015) and Nothing To Lose (available Feb 27, 2015). Of course we continue to work on our individual titles, but with every new story idea Deb and I get more excited to share our books with readers. Co-writing has been a joyful, energizing experience for both of us and I can hardly wait to dive into the adventures our next phone call will create. Good luck to everyone in the Heart of a Hero giveaway! Readers, if you teamed up with a friend to create something what would that special talent be? Writing? Blogging? Knitting? Photography? Baking? Some type of craft? Let's dish! When she met and married the man of her dreams Debra put her writing aside and tried some other occupations, including door-to-door sales, various factories and restaurants, a day care center, a hospital and a department store. Shortly after the birth of her first daughter Debra’s husband joined the military and she decided to go to college. Eventually the U.S. Army took them to Berlin, Germany, and Debra accepted a position as secretary in the commanding general’s office. By 1985, they were back in the States, and her next major career move landed her at NASA in the Space Shuttle Program. For more than a dozen years after returning to the States Debra and her family lived in a small Tennessee town where everyone knew everyone else. A few years after settling in Tennessee her second daughter was born. Though she hadn’t written in nearly two decades, in 1996 Debra took up writing again. With the support of her family and God’s blessing her dream of being published came true in March of 1999. Debra’s life has come full circle now. She and her family, along with their three dogs, have moved back home to Alabama. 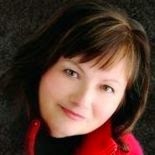 With more than one hundred novels to her credit, Debra writes spine-tingling romantic suspense and thrillers. Trail guide Charly Binali is alone in the Rockies with a madman and his armed mercenaries, and he's demanding she lead him to a powerful, hidden device. And when help comes in the unexpected form of her very hot neighborhood mailman, Charley discovers the "nice" guy she gave her heart to isn't who she thought. Undercover CIA agent Will Chase hated lying to Charly, but getting to that dangerous device first is a matter of national security. It's seven bad guys against him and Charly, but between his training and her survival skills, they just might beat the odds—if he can get her to ever trust him again. I can see my friend & I doing window displays. We are both creative with a good eye for color & detail. It would be so much fun. That would be fun, Mary! Decorating and repurposing are my second loves! My best friend is my sister and we both love this idea.....buying an old house (we already picked out the ONE) and creating a bookstore/art gallery (local artists) and tea room......Yep, we would share our love of books, art and her love of baking! I love that idea! We had a business like that in a town near where I used to live (only without the books - must have books). It was hugely popular. My friends and neighbors are organizing a “neighborhood garden”. Since space is limited in each of our yards, we will have one family grow tomatoes, one grow peppers, one grow squash…ect… Then we will share the bounty! I think this is an outstanding idea and it sounds like you have an outstanding neighborhood, Teresa! I'd have a cooking buddy! Right there with you, Barb. My late husband loved to cook and one of the things I most miss now that I'm on my own is cooking with a buddy. Good Morning, everyone! Welcome, Regan and Debra! It's so great to have you visit with us today. I've been trying to convince my sister to write children's picture books with me. She's an artist and children's librarian. What fun! I hope you're able to convince her, Carolyn. I agree with PJ - it sounds like fun! Thanks for being here - and good luck! My best friend and I are heavily into one specific political party that I will not mention here. I think the thing we could both do best would be a blog about that. She would dictate and I would write. It would be fun and fascinating! I Love Deb and Regan's books and I don't think I've ever found a better writing team than these two! We appreciate you not getting political here, cindyr. Having said that, I think blogging about something for which you have strong opinions is an excellent idea. And I agree with you on the Regan/Debra writing team. They're outstanding! I think it's great to dive into something you love (like PJ did with TRD) and see where it takes you. And doing it with a friend is even better. I would love to collaborate on a book with someone. I've been told I'm very good at the writing part but plotting, not so much. I come up with a premise but get stuck after awhile on which way to go! Debbie, do you have any RWA chapters in your area? They are wonderful at teaching, guiding, critiquing and encouraging people who want to write! I second PJ's suggestion about finding an RWA chapter. I learned so much from authors in my local group and at the regional level and national events as well. If you love to write - go for it. You can learn plotting (I'm proof of that, thanks to Deb). It's been great meeting Debra and Regan here. The books sound like exciting and intense reads.I wish my sister and I could open either a small book store or an old fashioned candy store from the 1800's. Oooo, old fashioned candy - YUM! It would most likely be baking or crafting. I have worked with others in both these fields. If it is the right person, sharing the work can be fun and rewarding. I have been reading and enjoying Debra Webb's books for years. I have THE HUNK NEXT DOOR and look forward to reading the rest of the series.